Given that this blog is set in Montréal, you could be excused for thinking that a post with such a title is about the mafia. But fear not, yours truly has not joined the mob, for that would be most inappropriate for a respectable chaperone to an eighteen year old girl. Of course, she considers herself mademoiselle much more than fille, and has not tardied in exploiting her recently attained maturity for her first overseas trip sans the parents. And so it was that I shared my home with a teenager young woman for a month. This young woman, you see, happens to be my goddaughter, and as such it was my privilege to see her grow up from the time she first sat on my lap as a little girl. Since then, she has obviously come a long way and, incidentally, travelled to more places than I, thanks to her intrepid parents. When I announced a few years ago that I was about to move overseas, and consequently would not see her as often any more, she didn't seem worried. Instead, she promised to come visit. Yes, there was suddenly more cleaning to be done (drains clogged with hair were not previously a problem), and yes, sometimes I felt more like a tour operator driving the bus from sights to outlet malls while the lady caught up on some sleep, but then again I admired her uncomplicated, uncomplaining attitude wherever we went. Clearly, the countless adventures her parents put her through have had their effect. While it was not always obvious, over time I came to realize that behind that youngster attitude, there was actually real curiosity about this country and its inhabitants. Some traits, such as the fondness for Tim Hortons and Bixi, were rapidly assimilated. And the Roots store should have paid me commission. 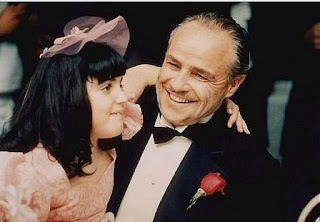 When I accepted the request to become this young girl's godfather, I did so with a view on exposing her to a different lifestyle, complimentary to the one she was used to at home. Looking back at the past month, I feel satisfied in knowing that I was able to do just that. And going forward, there will be plenty of anecdotes and in-jokes we can share, not to mention good memories. On Monday, my goddaughter returned to Switzerland. Her bedroom is my office again, and here I am typing these lines. Nobody giggles in the background. No one offers to run up to the corner to get a few Timbits. An eerie silence surrounds the godfather. I miss her already.